Top 5 HR Audit Tips for Small Businesses! When was the last time you performed a methodical and objective review of your Human Resources policies, procedures and practices? Whether you are operating a small or medium sized business, the analysis obtained by an HR audit can give you an opportunity to gauge your current processes and determine gaps that could leave you […] The post Top 5 HR Audit Tips for Small Businesses! appeared first on California HR Services. When was the last time you performed a methodical and objective review of your Human Resources policies, procedures and practices? Whether you are operating a small or medium sized business, the analysis obtained by an HR audit can give you an opportunity to gauge your current processes and determine gaps that could leave you vulnerable. This vulnerability can run the gamut, including determining whether or not you are compliant with all applicable and ever changing state and federal laws and legislations pertaining to your specific business and size, whether certain practices unknowingly are putting you at risk, and whether or not your current systems are moving you away or aligning you and brining you closer towards your business goals and objectives. 1) Recruiting and Hiring Processes– Are your applications up-to-date and excluding illegal questions that may be putting your business at risk of possible discrimination? This also applies to your interview process and the questions asked during interviews. Do have properly documented job descriptions and do they pass the legal test? Do you have a systematic and documented promotion and compensation process? If not, could the lack thereof inadvertently be putting your business at risk of discriminatory behavior? 2) Legal compliance– this ranges from ensuring all your non-exempt employees take their required meal and breaks to the proper documents in the correct files (are you filing I-9 verification forms in the employee files? Are benefits and confidential medical information in employee files where they can be seen by the wrong eyes?) Do you have the proper posters and legal information posted in your offices? Is your filing and HRIS system protecting or jeopardizing your employees’ privacy rights? Are you properly classifying employees as exempt or non-exempt? If not, non-compliance in this area alone can cost you significant fines and a significant amount in possible overtime and back pay expenses (does Starbucks’ class action lawsuit ring a bell?) Please don’t assume your employees are in the dark. They probably know more about their rights and employment laws than you think they do. That said, is non-compliance a chance worth taking? 3) Training and Development– Are you performing mandatory state-wide trainings for managers and supervisors? Did you know that based on your size, all managers (and anyone promoted to supervisory or management positions within 6 months) must receive the mandatory CA AB 1825 Sexual Harassment Prevention Training? Do you know what risks you’re facing for failing to provide this training? 4) Policies and Procedures (including the Employee Handbook)– Have you created or updated your policies and procedures handbook within the last couple of years? Did you know that nearly every few months, new laws, legislations and mandatory policy revisions and updates are required of all businesses (regardless of your size)? What steps are you taking to ensure that you are compliant? By creating a policies and procedures handbook, you provide your employees with uniform and consistent procedures to follow. When everyone follows the same rules, you can help minimize your risk of favoritism and/or seemingly unfair business practices (which can lead to possible discrimination and harassment claims). 5) Employee Relations & Terminations– Do you use a consistent method to coach/discipline and terminate poor performers? If not, once again, you could be putting your business at risk. Ensuring that all negative performances receive consistent, honest, yet respectful “documented” equal treatment can significantly reduce – if not eliminate – employee complaints and post employment challenges, including retaliation for terminations (even if they were fully justified by you) and the difference between winning or losing unemployment claims. Most of the above noted are quick fixes and only require minor shifts in the way you operate your business; however they will yield a great deal of positive returns for your company. First and foremost, by limiting your risk and liabilities against frivolous lawsuits or possible fines, you save your business thousands – if not hundreds of thousands of dollars. That should be enough of an incentive, right? Right! But there’s more! Simultaneously, something magical occurs to your morale and employee satisfaction – and did you know that those two combinations together yield higher performance and employee engagement, leading to happier and more productive employees who end up caring even more about the business and its potential for success! 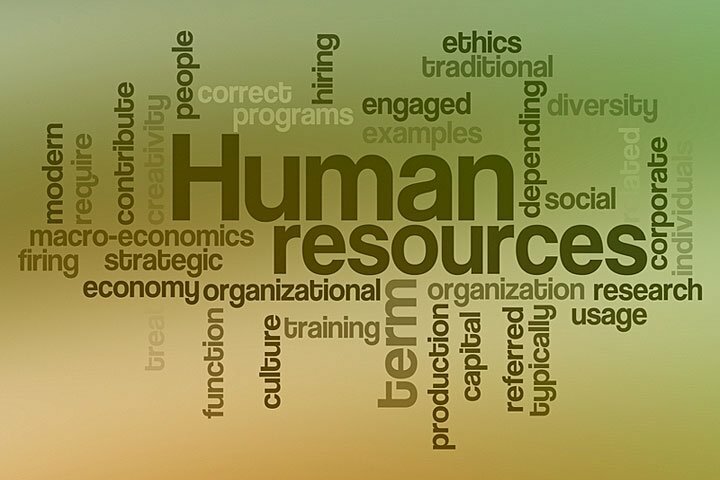 If you are considering an HR audit, contact a reputable Human Resources Consulting Firm such as California HR Services to conduct an objective analysis, determine your areas of risk, and provide applicable recommendations that meet your specific business needs. We can also be reached by phone at 858/ 228-5535. The post Top 5 HR Audit Tips for Small Businesses! appeared first on California HR Services .